Hi! My names Ivy and I figured I should start a build page for my GL this way I can keep track of everything at the same time sharing it with all of you!! 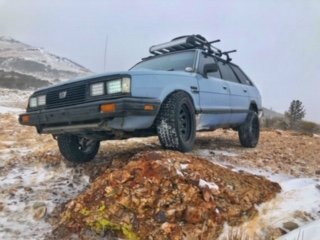 So a quick background on the car..I originally bought this car for $150 dollars out of Truckee CA, the guy I bought it from was building up a 2 door wagon and this was his daily driver while he built that. When I bought it the brakes made a horrible noise, the volt gauge didn’t work, the shifter has insane slop, no rear wiper, and that’s all I can remember right now. It was 100% stock and needed(still does) a lot of little things to make it all good again. It runs and drives, but like I said needs work. Awesome car! 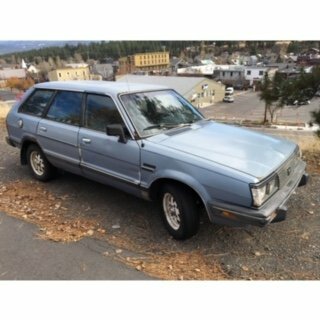 I have a 1983 GL 4WD Wagon too! This is the day I first bought the GL. 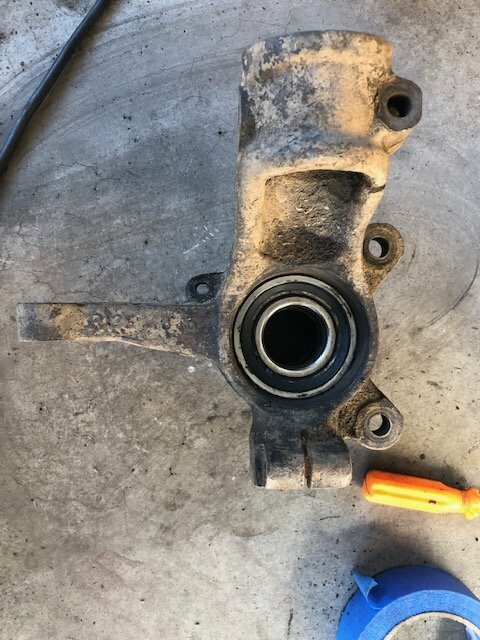 Bought it with 375K miles on it. Unsure if the the original motor or trans all I know. Is it is a 4 speed dual range and an EA81. Fast forward 3 years from that first picture and this is the day I bought her back. I had sold the car for about a year because at the time I really needed money but I sold it to a guy that let me buy it back which I’m forever grateful. I was the one that put the roof rack and tint on, he did the lug conversion along with quite a bit else I’ll go over. 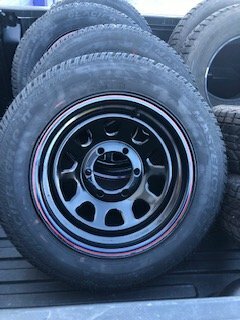 I hated the Toyota wheels so in about a days time I bought some 15X7 Cragar D windows from summit racing and went and got some 205/60/15 Mastercraft a Glacier-Grips II these are the only aggressive treads I could find in this size and honestly I love these tires so far not loud on the road and get great traction. Here she sits with the new shoes on!!! 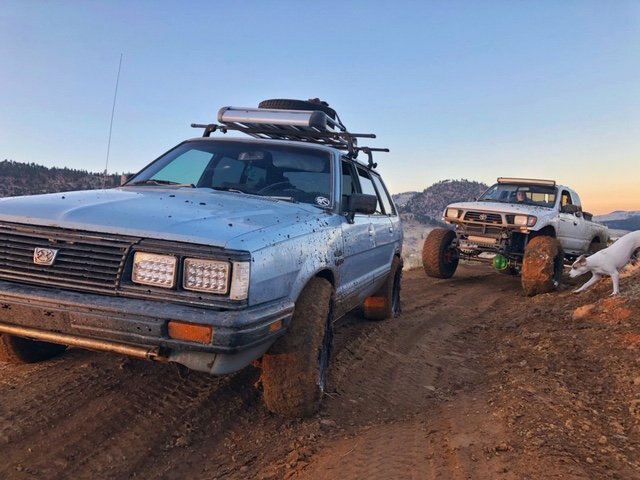 About a week after I bought her back I drove it to Subiefest in Los Angeles from Reno, it did amazing it just overheated a little on the long hills but if you know these cars you know that’s a normal thing. This was the other day I drove it up a mountain we have here called Peavine. I flexed her out a little sadly the tire got so stuck in the front fender. 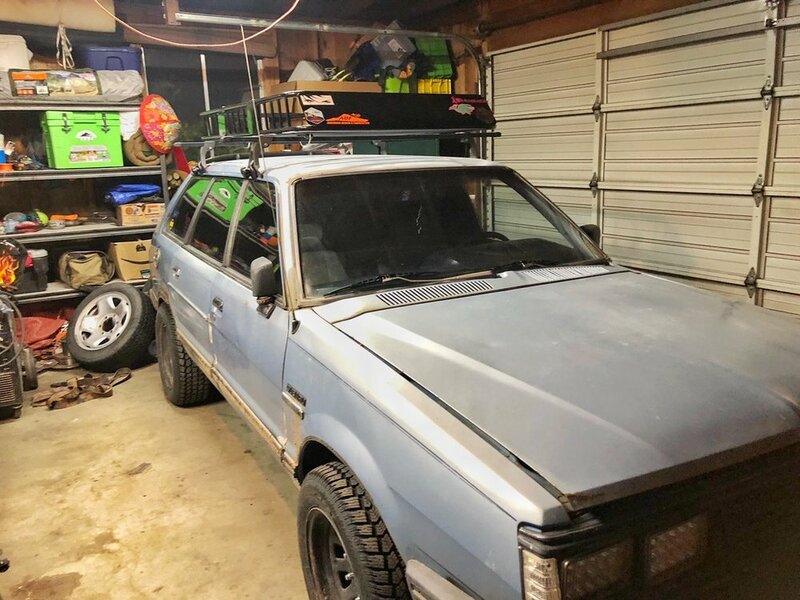 I have big plans for this car I should be buying some goodies for it here soon and I’ll keep y’all updated!!! Welcome to the forum Ivy! Youve got one of the best colours that Subaru ever brought out! I love that blue and would love to have an MY wagon in that colour too. I’ve got an L series in that colour (or slight variation of). Alright guys, I'll upload a few pictures here in a little bit of the trip as well but this last weekend I took the ol GL on quite a journey on this pretty hard trail to these very remote hot springs here in Nevada called the E Carson River Hot Springs I believe. 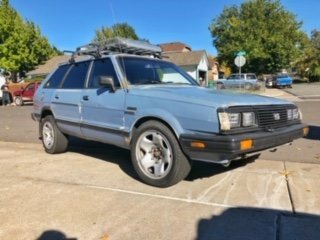 REGARDLESS while the GL did fantastic now she needs some help before shes safely road worthy again. Any advice you guys have will be greatly appreciated, like I said after this entry I'm going to do some digging of my own as well. 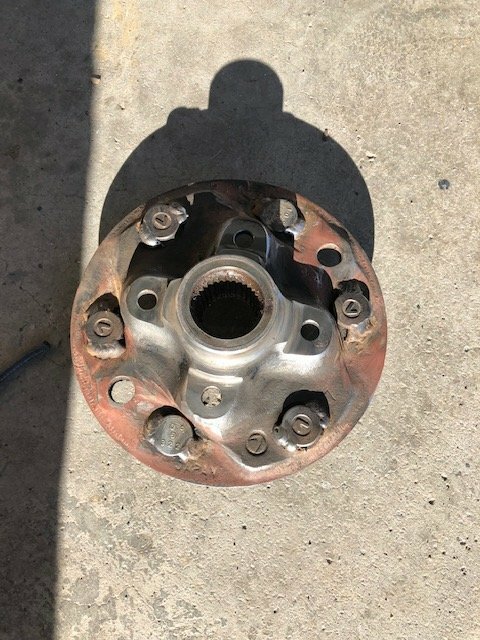 Did the stud break off, or pull out of the threads in the cylinder head? 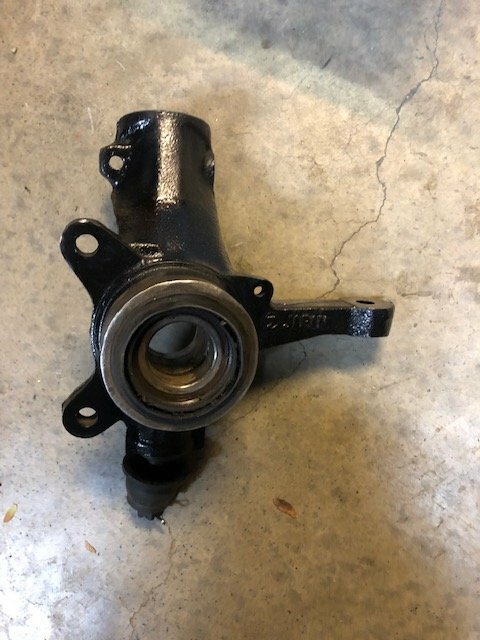 My 87 gl10 stripped the threads in the head but subaru was cool enough to put a second set of holes 180 deg off from normal. 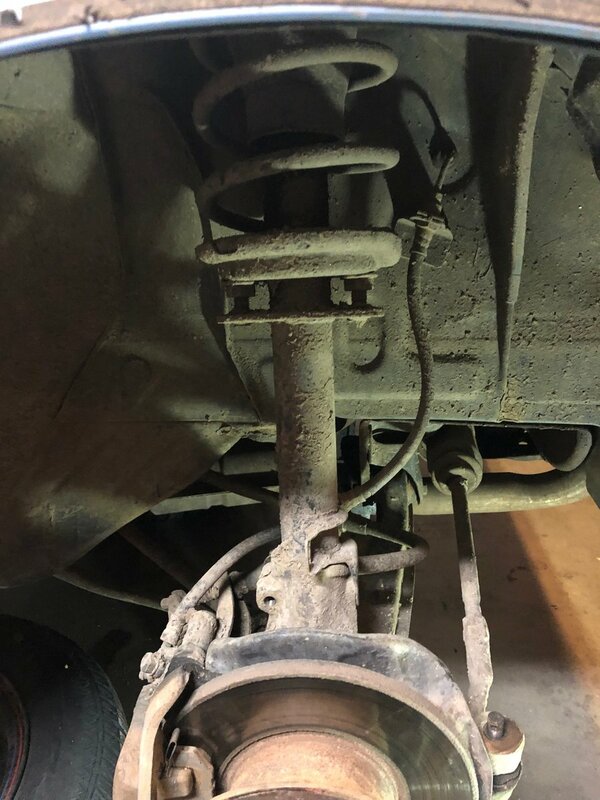 The pipe had a rotted hole in it as well so the exhaust shop just cut off the flange rotated to match the second set of holes and welded it back on with a new piece of pipe. I can upload a pic later today if you want. 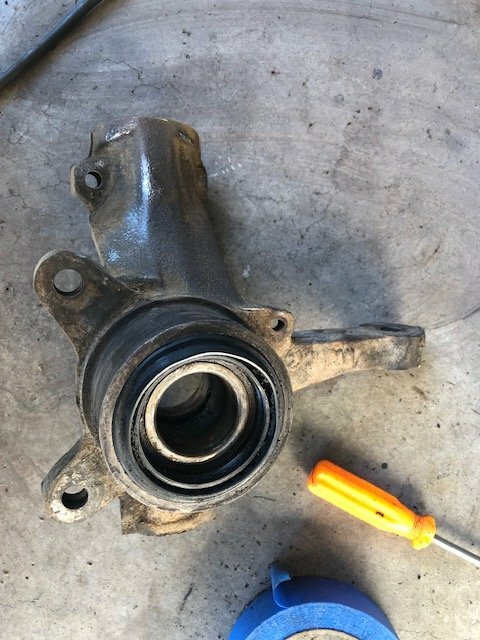 Also as some one who just did tie rods and ball joints be careful with the axles, my driver side popped its snap ring at the knuckle and I had to replace the whole thing. Stupid roll pin. Evening everyone following the build. I have a few updates!! 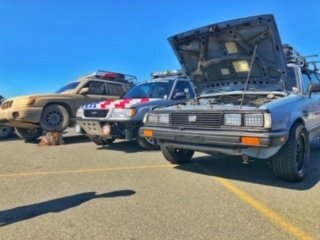 Alrighty so I have officially ordered all new suspension and that should be arriving any day now so that’ll all be fixed a friend of mine also recently wrx swapped his 93 legacy so he had an OBD1 2.2 sitting there with motor mounts, an air box and a complete wiring harness with ecu. That being said I got an amazing deal on it all and I’m officially going to start the swap process (insert super happy screaming and girly jumping up and down here). I’m no wiring guru so I’m having SJR trim my harness for me. I also bought other little things for my car too that I’ll be installing. I’m so in love with this car I can’t wait!!! 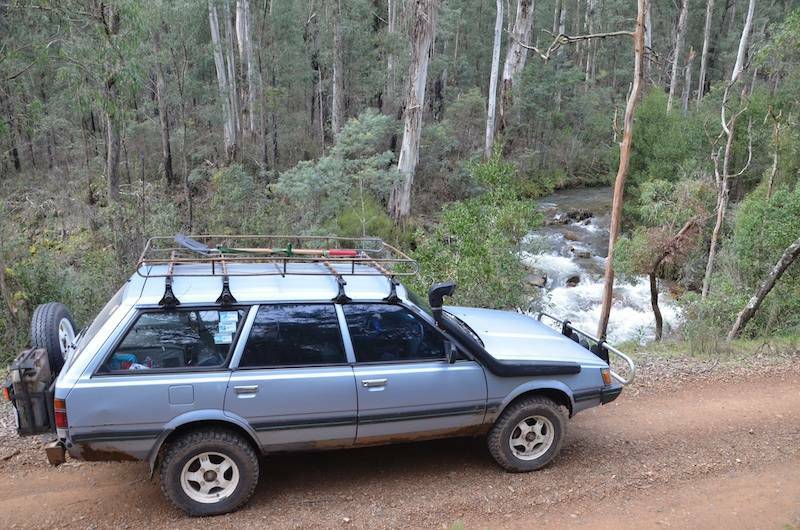 Here’s the new roof rack. And her new spot in the garage for the next little bit while I install and fix some more things!! 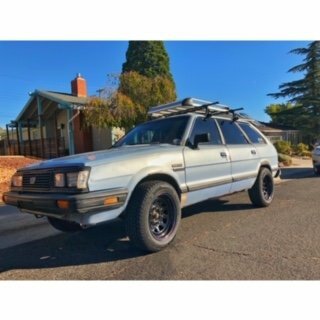 I’ve been toying with the idea of a snorkel so if any of you guys have more knowledge on ones that work the best or what have you I’d love to hear it. 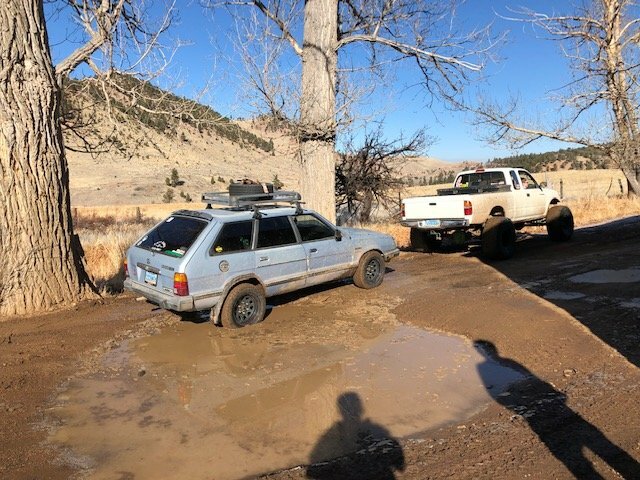 Here’s a picture from the adventure weekend that I broke my exhaust and officially tired my suspension out. It was an amazing weekend we will be going back to these hot springs. And another from that weekend. For the snorkel I’ve used the Pajero NJ NK NL snorkel on my L series. With some sand and a heat gun I was able to bend the elbows back to meet the A pillar and still look tops. I’m not 100% sure how it would look on the MY body though. Here’s mine for comparison, my edges are squarer than the MY. 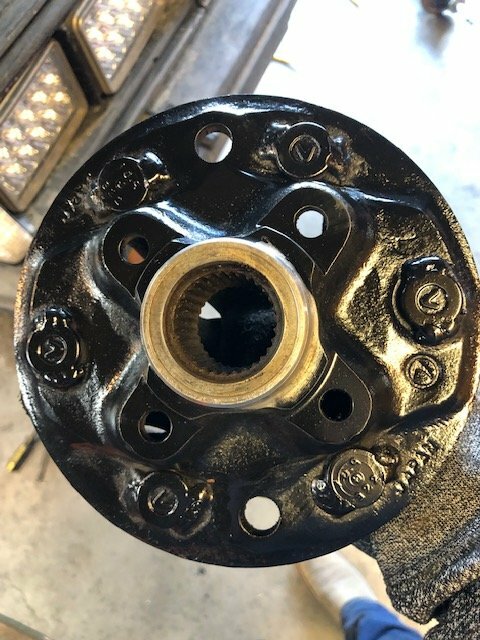 Little update finally got around to cleaning up the hubs and knuckles and spraying them to help against rust today because it was somewhat decent out. Also started putting the new struts together trying to get the ball rolling on the suspension stuff I’m doing so I can be done with it and focus on the EJ swap that’s also approaching! 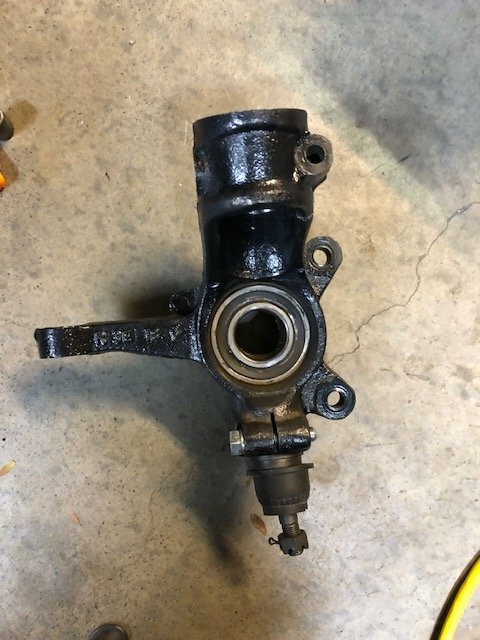 I’m waiting on brake lines and brakes and seals and bearings right now because once I got in there and tore everything apart I realized that all of that needed to be replaced or was close to needing it so might as well do it while I’m there right? That’s just how my mind works anyways might as well spend a little more and take the little bit more time if you can and do it once and do it right.